Edit: oK I was not expecting the slots to fill up as quickly as it did so 5 extra slots were added !! PLEASE DO NOT TELL ME SPECIFIC POSES!! I choose the pose! Favorite visual artist Sleepykinq Favorite movies N/A Favorite TV shows N/A Favorite bands / musical artists Eurobeat, Shawn wasabi Favorite books The witch of blackbird pond Favorite writers N/A Favorite games Undertale, Battleblock theater. Favorite gaming platform Nintendo Gamecube. Tools of the Trade N/A Other Interests Animating, Animation memes. 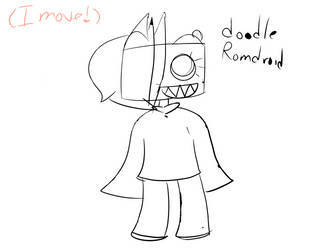 Romdroid-OwO has started a donation pool! Reply to this comment about questions! Please do not thank me for watches/favs/llamas/ or anything like that! Note me about art trades or collabs! Hi uh- I need to ask u something and I’m sorry if this comes annoying to you- could u accept my request to be an admin for the cosmicat species- ? thank you for watching it means the world to me!